While annual conventions and expositions have long been a staple of the business world, the corporate retreat has made a resurgence in the 21st century as a means of team morale building and brainstorming. These American cities offer destinations for every corporate budget, showcasing internationally-renowned landmarks and world-class luxury hotels. 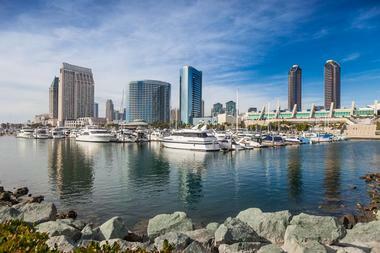 San Diego is California’s second-largest city, home to a metropolitan population of more than 4.9 million people. Known as the “Birthplace of California,” the city is located along the United States-Mexico border and is a major economic and cultural center for the southern California region, home to the University of California and its affiliated USCD Medical Center, a leading biotechnology facility. It is known for its year-round temperate climate and expansive deep-water harbor, which serves as a popular hub for boating and water sports and is flanked by miles of beautiful beachfront. Major tourist attractions include the world-renowned San Diego Zoo, massive oasis Balboa Park, and museums related to the region’s naval history. The 2.6-million-square-foot San Diego Convention Center provides convenient access to more than 11,000 world-class hotel rooms and is located adjacent to the hip Gaslamp Quarter neighborhood, home to a wide variety of restaurants, nightlife venues, and annual festivals. 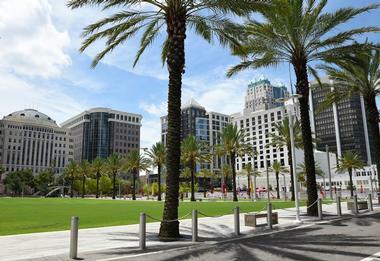 Orlando is the Southern United States’ sixth most-populous urban region, home to more than 2.3 million people throughout its metropolitan area. As Florida’s largest inland metropolis, the city is nicknamed “The City Beautiful” and is best known for its massive theme park resorts, including Walt Disney World and Universal Orlando, which attract more than 68 million annual visitors to the region. The Gamma- level global city is one of America’s busiest conference cities, home to the seven-million-square-foot Orange County Convention Center, the second-largest convention center in the nation. Resort hotels abound, including the themed luxury hotels of the Walt Disney World Resort, which recreate the splendor of major world attractions such as seaside boardwalks, national parks, and Hollywood creative studios. 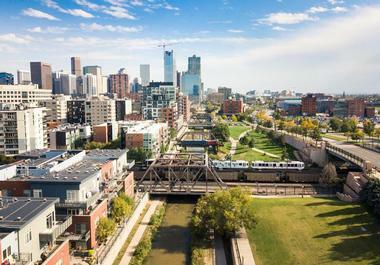 Denver is Colorado’s capital city and blends Old West charm with modern culture and a high sense of livability, ranked as the United States’ best place to live by U.S. News and World Report. The Mile High City is located within the South Platte River Valley and offers spectacular surrounding views of the Rocky Mountains’ Front Range. The up-and-coming business city is home to the 2.2-million-square-foot Colorado Convention Center, one of the nation’s largest, and is directly serviced by the city’s extensive light rail system. More than 46,000 hotel rooms are offered throughout the city at luxury and boutique hotels such as the Sheraton Denver Downtown Hotel, the Grand Hyatt Denver, and the Four Seasons Hotel Denver. The city boasts cultural attractions such as the Denver Art Museum and the historic Larimer Square, which showcases 19th-century architecture. It also serves as a major jumping-off point for nearby ski resort towns such as Aspen and Breckenridge. 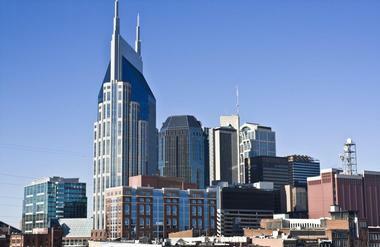 Nashville is Tennessee’s state capital and most populous city, home to a population of more than 1.9 million residents throughout its metropolitan region. It is historically known as a major center of American country music, home to attractions such as the legendary Grand Ole Opry House, the Country Music Hall of Fame, and the Ryman Auditorium. Its recent urban revitalization has landed it on National Geographic Traveller UK’s 2018 Cool List for its burgeoning food scene, noted in top publications such as Food & Wine and Condé Nast Traveler. Conference facilities are offered at the 2.1-million-square-foot downtown Music City Center or the Gaylord Opryland Resort and Convention Center, which is located less than 10 minutes from Nashville International Airport and showcases nine acres of lush indoor gardens and waterways. Oklahoma City is one of the American West's great metropolises, known as the "Horse Show Capital of the World" for its rich cowboy heritage and culture. The diverse modern city is a great choice for unique corporate retreats with a focus on outdoor adventure, offering opportunities for team-building experiences aboard riversport rafts within the city's Boathouse District, including motivational sessions available with former Olympic athletes. The city's beautiful Myriad Botanical Gardens facility is a perfect choice for elegant corporate events, including gala fundraisers, holiday receptions, and corporate board meetings, able to host up to 400 guests in a lavish natural environment. A wide variety of fine dining options are offered throughout the city, along with ample arts and cultural attractions for corporate groups to explore. 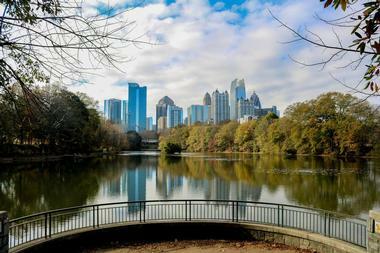 Atlanta is Georgia’s most populous city and major cultural center, home to a population of more than 5.8 million throughout its metropolitan region. The diverse, vibrant city, which is known as the “city in a forest” for its tree-lined topography and numerous urban parks, experienced a world-class revival in the late 20th century after its hosting of the 1996 Olympic Summer Games. Today, it is ranked as a beta+ world city and has been named one of Travel + Leisure’s most charming, most cultured, and friendliest cities in America. Since 2015, it has been ranked as one of the leading corporate destination cities in the world by Cvent. Hotels and venues such as the Atlanta Marriott Marquis, the Omni Hotel at CNN Center, and the 1.4-million-square-foot Georgia World Congress Center are located in the heart of the city’s downtown and provide convenient access to major attractions such as the World of Coca-Cola, the Georgia Aquarium, the Atlanta Ballet, and Zoo Atlanta. Austin is Texas’ state capital and is best known for its thriving, eclectic live music scene, which has earned the city the nickname “The Live Music Capital of the World.” As the United States’ fastest-growing major city, the metropolis is home to a regional population of more than two million people and has been named Forbes’ top “City of the Future.” It has also been ranked as America’s greenest urban area and second-safest major city. The 246,000-square-foot Austin Convention Center is conveniently located near top downtown hotels such as the Hilton Austin, JW Marriott Austin, and Fairmont Austin and more than 200 unique and award-winning restaurants within the city’s downtown region. Nearby, hip neighborhoods such as the Sixth Street district are home to trendy bars, boutique shops, and annual special events such as the South by Southwest music and innovation festival, while districts such as South Congress and Hyde Park showcase the local charm exemplified by the city’s “Keep Austin Weird” slogan. 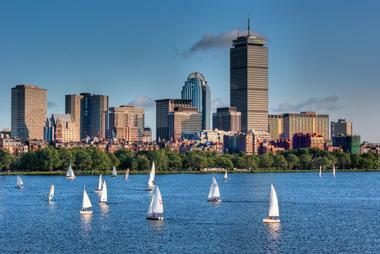 Boston is one of the United States’ oldest cities, founded in 1630 by English Puritanical settlers. Today, the metropolis is Massachusetts’ capital city and is home to more than 4.8 million people throughout its statistical region, making it the 10th-largest urban area in the country. As a leader in education, business, and innovation, the city is world-renowned for its top universities, including Harvard University and the Massachusetts Institute of Technology. Historic attractions abound, including the 2.5-mile Freedom Trail walking tour, which showcases American Revolution sites such as the Faneuil Hall marketplace. Three convention centers are offered within the city’s downtown district, including the state-of-the-art Boston Convention and Exhibit Center, which offers the fastest airport-to-convention-center commute in the country and has been named as the Professional Convention Management Association’s top high-tech convention facility. The Seaport Hotel and World Trade Center Boston also offers convenient access to top downtown hotels such as the Westin Boston Waterfront. Chicago is the United States’ third most populous city, home to more than 10 million people throughout its greater urban region, and is internationally renowned as the birthplace of the steel-framed skyscraper in the early 20th century. The metropolis was ranked as the seventh most-influential world city on the 2017 Global Cities Index and as the top American city for business by Site Selection magazine. Its 2.6-million-square-foot McCormick Place is consistently ranked as the nation’s top convention center, located within easy walking distance from more than 33,000 downtown hotel rooms, and its O’Hare International Airport remains one of the largest airport hubs in the world today. 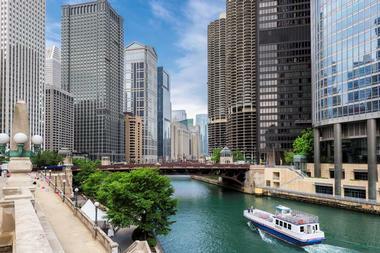 Beyond business, the Windy City is also home to a large number of cultural attractions, including the Art Institute of Chicago, the Navy Pier shopping and entertainment complex, and the international landmarks of the Magnificent Mile upscale district. Columbus is Ohio’s most populous city and the United States’ 14th-largest, offering a diverse economy and serving as the international headquarters for top corporations and brands such as Nationwide Mutual Insurance Company, Wendy’s, White Castle, and Red Roof Inn. As one of the Midwest’s fastest-growing cities, the metropolis has been ranked as one of Money Magazine’s best American big cities and has received an A grade from Forbes as one of the country’s top business cities. The Greater Columbus Convention Center offers 410,000 square feet of exhibit space and the state’s largest meeting room, located within easy walking distance of more than 3,800 downtown hotel rooms and major attractions such as the Short North Arts District and the North Market. Other top area attractions include the COSI Science Center, the Columbus Museum of Art, and German Village, which showcases restored 19th-century settler homes. Dallas is one of the United States’ fastest-growing cities and forms the core of the American South’s largest metropolitan area, home to an urban population of more than 1.3 million. The beta+ ranked city is home to the international headquarters of Fortune 500 corporations such as ExxonMobil, AT&T, and American Airlines and boasts the largest light rail transit system in the nation. It is easily accessible from the Dallas-Fort Worth International Airport, which provides more non-stop flight connections than any other American airport. Its Kay Bailey Hutchison Convention Center Dallas has been ranked as one of Trade Show Executive magazine’s top convention centers and offers adjoining access to the Omni Dallas Hotel. 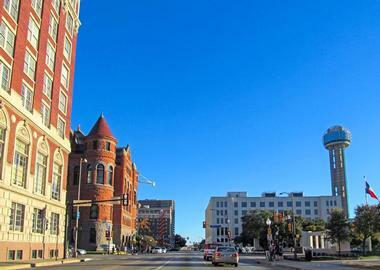 More than 80,000 hotel rooms are offered throughout the city, which also boasts attractions such as the Dallas Museum of Art, the Nasher Sculpture Center, and the Sixth Floor Museum at Dealey Plaza, which commemorates the assassination of President John F. Kennedy. The highly cultural city is recognized for its diverse population, home to residents of many ethnic and religious backgrounds, and is noted as having one of the largest LGBT populations in the United States. 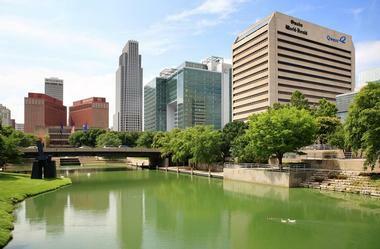 Over 3,000 hotel rooms, a diverse choice of restaurants and entertainment options make downtown Omaha a great destination for a corporate retreat. Omaha is a thriving, modern city with almost a million inhabitants along the Missouri River who are proud of its warm Midwestern hospitality. The city is known for its pioneer history and is a stop on the Lewis & Clark National Historic Trail. One of the country’s most renowned zoos, the Henry Doorly Zoo and Aquarium, is known for its conservation work, big cat space, indoor jungle, desert habitats, and rainforest. 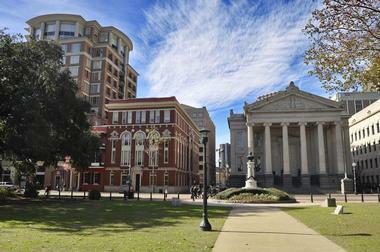 The Old Market is a downtown neighborhood with many restaurants and art galleries. 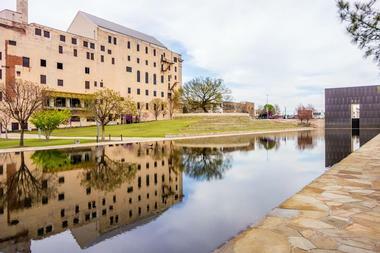 The Joslyn Art Museum is Nebraska’s major fine arts museum, located in a beautiful 1931 Art Deco building. 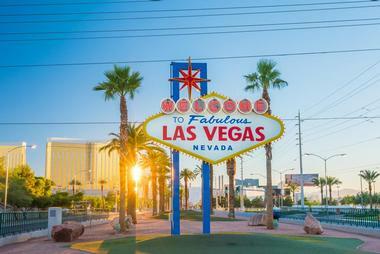 Las Vegas is a bustling resort city located within Nevada’s Mojave Desert, consistently ranked as one of the world’s top tourist destinations for its famed four-mile Strip boulevard. The city is known as the “Entertainment Capital of the World” for its nightlife attractions, including dozens of 24-hour casinos and themed hotels showcasing elaborate replicas of world landmarks such as the Eiffel Tower, Venetian Grand Canal, and Egyptian pyramids. As a global hospitality industry leader, the city is home to more AAA Five Diamond-rated hotels than any other international city, including landmarks such as the renowned MGM Grand, Bellagio, and Caesars Palace resorts. The 1.9-million-square-foot Las Vegas Convention Center is the world’s largest single-story convention center, hosting a variety of major international conferences and trade shows. Convention and meeting facilities are also offered at a number of mega-hotels, including the 2.1-million-square-foot Mandalay Bay Convention Center, the largest privately-owned convention facility in the world. 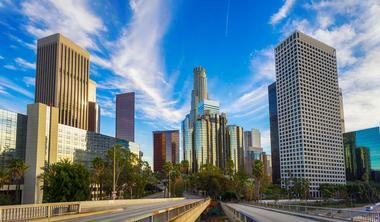 Los Angeles is the county seat of Los Angeles County, the nation’s most populous county, and is second in population as an urban metropolis only to New York City. The city is known as the “City of Angels,” a nod to its Spanish etymology and heritage, and is best known internationally as the home of the iconic Hollywood neighborhood, the center of American film and television and home of famed studios such as Paramount Pictures and Warner Brothers. As Southern California’s financial, commercial, and cultural center, the city is among the top 10 international cities on the Global Cities Index and the Global Economic Power Index, producing the world’s third-largest gross metropolitan product after Tokyo and New York City. 770,000 square feet of exhibit space is offered at the Los Angeles Convention Center, which is easily accessible from Los Angeles International, Hollywood Burbank, and LA/Ontario International Airports. Major attractions include Grauman’s Chinese Theatre, which is home to the world-renowned Hollywood Walk of Fame, and a large concentration of historic and modern celebrity mansions. 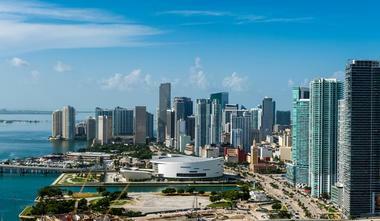 Miami is Southeastern Florida’s largest port city and is home to a population of more than 5.5 million residents, making it the United States’ seventh most-populous major city. As a major financial, commercial, and cultural city, the metropolis has been ranked as an Alpha- world city by the World Cities Study Group, renowned for its large concentration of international banks and corporations. The city has been ranked as America’s cleanest city for its vast urban natural spaces, high-quality public utilities, and citywide environmental sustainability initiatives. Its port is known as the “Cruise Capital of the World” and its downtown metropolitan region is the second most-visited tourist region in the Eastern United States after New York City, home to a wide variety of museums, performing arts centers, nightlife venues, and annual festivals such as the Calle Ocho Festival and Carnaval Miami. The Miami Beach Convention Center, extensively redesigned in 2018, offers more than 1.2 million square feet of exhibit and meeting space, providing convenient access to Miami Beach attractions such as the Art Deco Historic District and the prestigious South Beach neighborhood. Milwaukee is Wisconsin’s largest city and the second-largest urban region in the United States, home to a greater metropolitan population of more than two million residents. The city overlooks Lake Michigan’s western shores and is known for its German-influenced classic and modern breweries such as the famed Milwaukee Brewing Company. 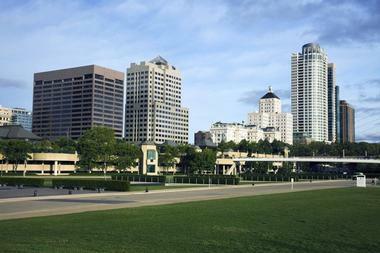 Throughout the early 21st century, the city has experienced a major revival, adding attractions such as the Milwaukee Riverwalk, Miller Park, and the Wisconsin Entertainment and Sports Center, though the small-town Midwestern charm and high livability it retains make it a great option for retreats on a budget. Its convention center campus encompasses three unique business venues, including the Miller High Life Theatre and the University of Wisconsin’s Milwaukee Panther Arena, which offer convenient access to more than 16,000 hotel rooms throughout the city. New Orleans is Louisiana’s largest city, home to an urban population of more than 1.2 million residents throughout its metropolitan region. Known as the “Big Easy,” the vibrant cultural hub is one of the largest ports in the Gulf of Mexico and is world-famous for its unique Creole culture, a melting pot of French and African-American lifestyles. Its 24-hour nightlife scene, centered on its historic French Quarter district, showcases unique Cajun restaurants, exciting jazz and blues music performances, and international destination festivals such as its famed Mardi Gras celebration. Its downtown Ernest N. Morial Convention Center showcases more than 1.1 million square feet of exhibit and meeting space, conveniently located near attractions such as Jackson Square, the Garden District, and the Audubon Aquarium of the Americas. 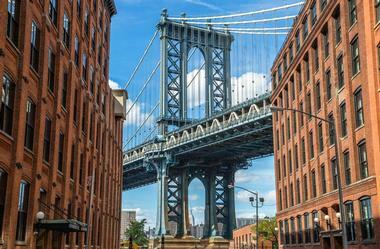 New York City is the United States’ most populous city and one of the world’s great megacities, home to more than 23 million residents throughout its greater metropolitan area. It has often been described as the cultural and financial capital of the world, known for its fast-paced lifestyle, linguistically and ethnically diverse population, and iconic rapid-transit subway system, the largest of its kind in the world. Major attractions across the city’s five boroughs include landmarks such as the Empire State Building, Statue of Liberty, and United Nations Headquarters, along with the neon-illuminated Times Square hub, famed Broadway theater district, and sprawling urban oasis Central Park. Convention centers and event venues abound, from classic venues such as Radio City Music Hall to the modern Javits Center, offering 1.8 million square feet of exhibit and meeting space. Both John F. Kennedy and LaGuardia Airports offer non-stop and direct national and international flight service. 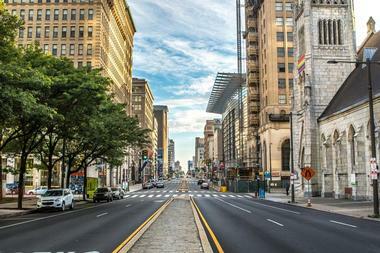 Philadelphia is Pennsylvania’s largest metropolis and is home to more than six million residents throughout its greater statistical region, making it the sixth-largest urban area in the United States. It is noted for its rich history, dating back to its 1682 founding by English Quakers, and showcases a number of sites connected to the American Revolution, including Independence Hall and the famed Liberty Bell. As a top education, commercial, and cultural hub and the United States’ first World Heritage City, the city is home to a number of Fortune 1000 companies and attracts more than 42 million annual visitors. Its Pennsylvania Convention Center spans four city blocks and boasts more than a million square feet of exhibit and meeting space, located within the Market East neighborhood. In addition to the city’s Philadelphia International Airport, which serves 133 international destinations, Amtrak service is offered at the 30th Street Station, connecting the city to major East Coast hubs such as Boston, New York, and Washington D.C. via the Northeast and Keystone corridors. Phoenix is the capital and most populous city within Arizona, noted as the only United States capital city that is home to a population of more than one million residents. As the anchor of the Valley of the Sun region, it is known for its beautiful year-round high temperatures and sunny conditions and offers easy access to nearby Sonoran Desert sites such as popular observation points Camelback Mountain and South Mountain Park and Preserve. 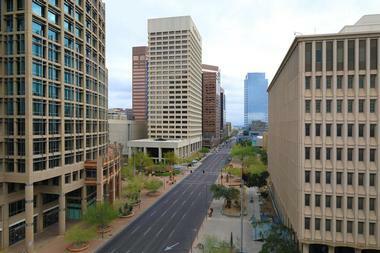 Within the city, tourist sites such as the Phoenix Art Museum, gallery-lined Roosevelt Row, and Frank Lloyd Wright home Taliesin West are popular cultural destinations, while historic hub Heritage Square preserves 19th-century buildings as converted restaurants and offers family attractions such as the Arizona Science Center. 24 acres of event and meeting space are offered at the Phoenix Convention Center, and a number of high-end spa resorts provide amenities such as championship golf courses designed by legendary golfer Jack Nicklaus. 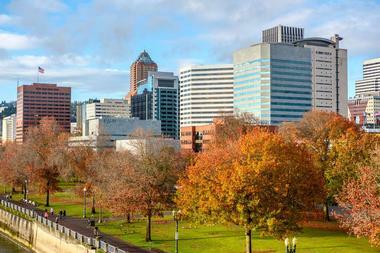 Portland is Oregon’s largest city, home to a population of more than 2.4 million residents throughout its metropolitan region. As one of the Pacific Northwest’s largest port cities, the city sits at the food of Mount Hood along the Willamette and Columbia Rivers and is known for its thriving counterculture scene and progressive values. The city is frequently noted as one of America’s most environmentally-focused cities, implementing a number of sustainability measures in recent years and noted for its bicycle-friendly atmosphere, public parks, and large number of farm-to-table restaurants. Attractions include the sprawling Washington Park, which houses attractions such as the Oregon Zoo and a formal Japanese Garden, and more than 60 microbreweries, which have earned it the nickname “The Craft Beer Capital of the World.” Its Oregon Convention Center, offering nearly one million square feet of event and meeting space, is the largest convention center facility in the Pacific Northwest and is noted for its sustainability features and public artwork. 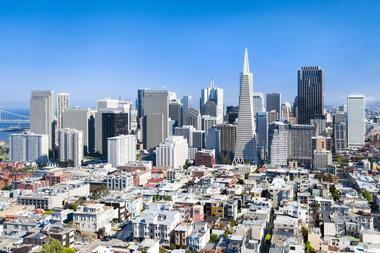 San Francisco is California’s northernmost metropolis and is the United States’ fifth most populous county region after four of New York City’s five boroughs. The hilltop peninsula city is located along beautiful San Francisco Bay and is world-renowned for iconic sights such as the Golden Gate Bridge, the infamous former prison site Alcatraz Island, and the city’s historic cable car system. The progressive, affluent city is known as a major center of liberal social activism and has been ranked as America’s most livable city. Major attractions include the DeYoung Museum, the Fisherman’s Wharf district, and the city’s bustling Chinatown neighborhood, the oldest Chinese neighborhood in the country. The city serves as the headquarters for five major banking corporations, along with a large number of tech-related corporations located within its Silicon Valley region. Its George R. Moscone Convention Center, which offers three convention halls spread across three city blocks, is conveniently located near top hotels such as the Four Seasons San Francisco, the W San Francisco, and the five-star Palace Hotel. 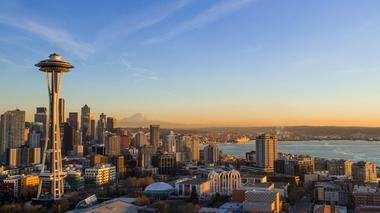 Seattle is the Pacific Northwest’s largest city, home to a metropolitan area population of 3.8 million people. The city is located along the Puget Sound and is surrounded by bountiful natural landscapes and several thousand acres of national and regional park space. It is one of the fastest-growing major cities in the United States and is one of the United States’ top port cities, known as a gateway hub for Asian trade. Since the 1980s, it has been one of the world’s top technology centers due to the establishment of corporations such as Microsoft and Amazon. Its unique collaborative economic scene stems in part from its diverse music history, noted as a major center for jazz, rock, and alternative music throughout the 20th century. Its Washington State Convention Center offers more than 400,000 square feet of event space, providing convenient access to more than 14,000 downtown hotel rooms. St. Louis is located along the Mississippi River and is Missouri’s largest metropolitan region, home to nearly three million residents. 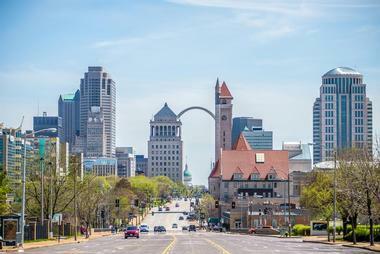 The city is flanked by the iconic 630-foot Gateway Arch, meant to symbolize America’s westward expansion in the 19th century, and is noted for its blues music, historic paddlewheel boats, and signature barbecue restaurants. Its diverse economy is home to internationally-noted corporations such as Anheuser-Busch, Edward Jones, and Monsanto and is a hub of pharmaceutical research, manufacturing, and tourism for the central Missouri region. Visitors can catch a St. Louis Cardinals baseball game at Busch Stadium, explore the expansive Missouri Botanical Garden, or browse museums and zoos at urban oasis Forest Park. Four unique convention and meeting facilities are offered at the America’s Center Convention Complex, located in the heart of the city’s downtown district. 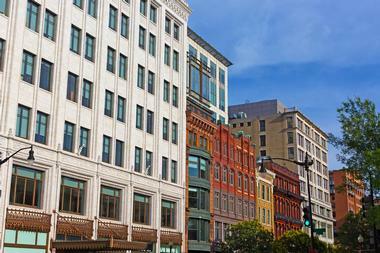 Washington, D.C. is the nation’s capital and its only unincorporated district, home to a metropolitan population of more than six million people. The city is located along the banks of the Potomac River between the states of Maryland and Virginia and houses the official buildings for the nation’s legislative, executive, and judicial branches of government, including the White House presidential residence. 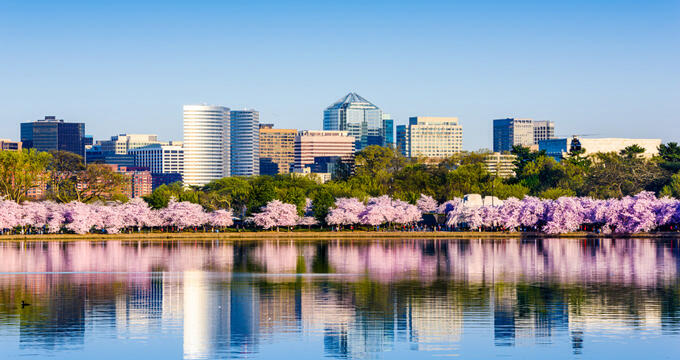 As one of the world’s most-visited tourist cities, attracting more than 20 million annual visitors, the city showcases a wide variety of historic and cultural attractions, including the Kennedy Center performing arts venue and the prestigious museums of the Smithsonian Institution. It serves as a hub for foreign embassies, lobbyist and nonprofit groups, and international organizations, including the International Finance Corporation, the Human Rights Campaign, and the AARP. Convention and business retreat options abound, from the 2.3-million-square-foot Walter E. Washington Convention Center to a number of historic venues and luxury hotels throughout the city, many of which are easily accessible via the city’s Metro subway transit system. Houston is located along Galveston Bay in southeast Texas and is the American South’s most populous city, home to more than 2.3 million residents. As the home of NASA’S Johnson Space Center and famed Mission Control Center, the Gulf of Mexico city is known as the “Space City” and is home to the Space Center Houston visitor center. 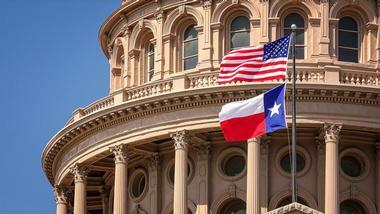 Its economy is centered on energy, manufacturing, and healthcare, housing the Texas Medical Center, the world’s largest healthcare and research institution center. Its ethnically diverse population has contributed to its expansive cultural scene, which is centered on is Theater, Museum, and Historic Districts, which house attractions such as the Houston Grand Opera. 771,000 square feet of exhibit and meeting space are offered at the George R. Brown Convention Center, with over 7,200 hotel rooms located within one mile of the facility, including the suites of the adjoining Hilton Americas Houston. 110 national and international cities are serviced by non-stop flights to the region’s George Bush Intercontinental Airport, which serves as the nation’s second-largest flight passenger hub. San Antonio is the United States’ seventh most-populous city, home to more than 2.4 million people throughout its metropolitan region. The city is noted for its rich colonial heritage and is home to major historic attractions such as the 18th-century preserved Alamo Spanish mission, part of the San Antonio Missions Trail. Many of its major attractions are located along the San Antonio River Walk pedestrian promenade, which spans the length of the San Antonio River within the city and showcases a number of eclectic shops and restaurants with riverfront seating. As a major military and commerce center in the south central Texas region, the city is home to six Fortune 500 corporations and is host to 32 million annual visitors attending events such as the San Antonio Stock Show and Rodeo, one of the nation’s largest rodeos. Three amusement parks dot its landscape, including Six Flags Fiesta Texas and the accessibility-focused Morgan’s Wonderland park. Its Henry B. González Convention Center hosts more than 300 annual events, offering 1.6 million square feet of exhibit space.